Cahersiveen is located on The Ring of Kerry and would be the principal town of The Iveragh Peninsula. 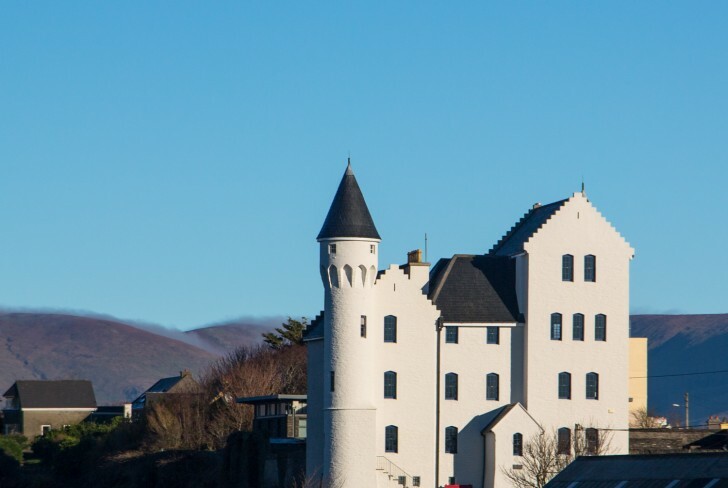 Located along the river Fertha and on the foot of Beentee Mountain, this town boasts some stunning samples of what the beauty and wonder that the Ring of Kerry has to offer. Caherciveen has many well-known walkways in the area, including “Cnoc na dTobar” which translates to “Mountain of the wells”. This is a particularly well known and sacred pilgrim site going back to medieval times. Caherciveen has the honour of being the birthplace of one of Ireland’s most famous sons. Daniel O’ Connell, who is known as “The Great Liberator” campaigned for Catholic Emancipation. His place of birth can be seen before you enter the town. The town had their church named after Daniel O’ Connell and is one of the very few Catholic Churches in the world that has been dedicated to a layman. In the centre of the town, there is an old Royal Irish Constabulary Barracks situated by the river, which is now an Interpretative centre. 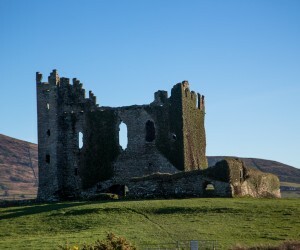 Continuing past the Army Barracks, heading over the bridge will bring you to the ruin of Ballycarberry Castle, which was built in the 15th Century by the McCarthy clan. Along the same road are two ancient stone forts, Cahergal and Leacanabuaille. These forts date back as far as 600AD and have been partially reconstructed to give us an idea of their size and scale. Due to its close proximity to the Atlantic Coast, Cahersiveen is spoiled with its range of Seafood Restaurants. Q.C’s is located in the town centre and is very well known for its fresh locally sourced seafood along with accommodation options. The Point Bar and Restaurant is the perfect spot for a bite to eat, located on Renard Point, who not stop off here while you are waiting to load your car onto the Ferry which will take you to Valentia Island. The ferry service runs from April to October and is a great way to get from Cahersiveen to Valentia Island.